Come out to hear the Best Acoustic Duo on the Outer Banks. 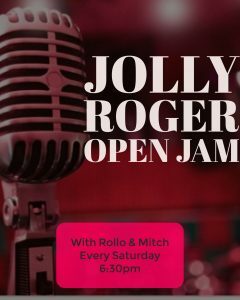 Every Saturday 6:30-9:30, Rollo and Mitch will be jamming at the Jolly. 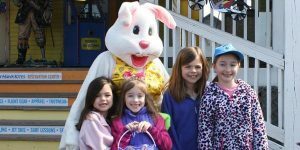 Pickers and singers are invited to jump in and help raise the roof! The Lost Colony, 1409 National Park Dr. Working Women Wednesday’s at Rooster’s! Working Women's Wednesday is a way for women (and men) in the Outer Banks community to gather, chat, have fun, get manicures, eat and drink. It is a great way to network or just meet new friends. 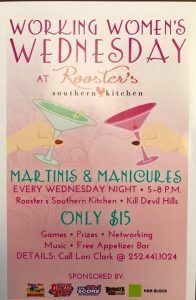 Rooster's Southern Kitchen hosts this event every Wednesday starting at 5pm and local musician Phil Watson plays live from 6-9pm! For questions and updates regarding this event, please visit their Facebook page: https://www.facebook.com/pg/workingwomenswednesday Hope to see you there!